Rasbora is generally described as a tiny, timid and shy looking fish. They don’t move as much as often compared to the other active fish often swimming in a jerky manner stationary at one spot and then suddenly make a move. But once they get startled, they will dash very fast darting from one end to another side of the aquarium. Rasbora being small sized and inferior type of fish is often become a subject of bullying by the other larger sized community fish. They don’t usually fight back and they will congregate to form a group when they feel threatened. Caring for your rasbora fish requires a lot of patience and a little bit of fishkeeping experience. I wouldn’t recommend it as starter fish because they can be extremely sensitive to slight changes in water parameters. I once had almost 8 Rasbora harlequin in my community tank and ended up losing all of them during routine water change. 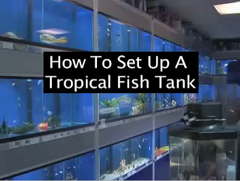 What baffles me is that the other fish all turns out fine without any problem and therefore, my advice is that if you intend to successfully raise them, a lot of time and attention has to be given to your new pet. Rasbora will accept any type of foods given to them. Because of their narrow mouth, the ideal food should be crushed tiny flakes which they can swallow easily. Floating large pellets may not be ideal for them as they would find themselves trying to chase after the food, pecking on it and unable to fit into their mouth. Sinking pellets may help but I find that using thin tubifex worm is the most suitable feed and believe me; your rasbora will go wild seeing a tubifex glob dropped into the water. Currently there are almost 40 over known species identified and properly categorized with unique names. Rasbora harlequin is of course, the most famous among them, being easily recognized by their special blend of red, brown and triangular black color marking close to their tail fin. What I enjoy and like most about them is that trying to photograph the fish is always a breeze because they seem to know that they are at the center of attention. Attached herewith is my own harlequin for everybody to share and view and hopefully the magnificent display of a unique looking fish is arouse your interest to keep them as pet as well. If you are a tropical fish hobbyist, I would definitely recommend Rasbora as addition to become your new pet fish. Related subject: How to check the health of new fish.